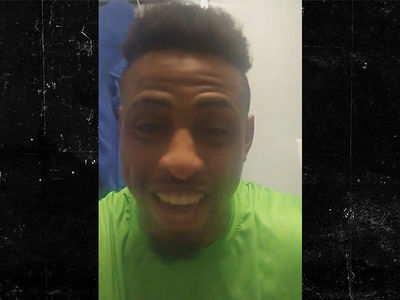 Greg Hardy says he's feeling extremely "positive" after his impressive UFC performance on Tuesday -- and says he wants to prove to his haters that he's truly a changed man. 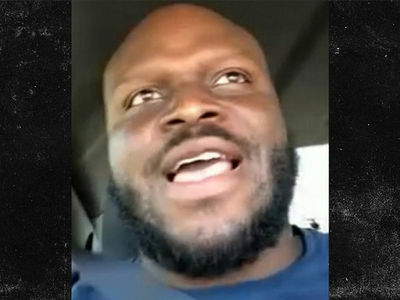 TMZ Sports spoke with the ex-NFL star after his 57-second knockout victory over Austen Lane on Dana White's Tuesday Night Contender Series ... and you can tell he's excited about his MMA future. "I'm feeling great. I'm feeling positive. I'm feeling excited. I'm ready to go ... ready to take this next step and see where it takes us." Hardy knows his new UFC contract will come with scrutiny because of his troubled past -- including allegations of domestic violence -- but says he hopes people will give him a chance to prove he's not a monster. "It would be best to meet me, give me an opportunity," Hardy said ... "I think I can win a lot of people back over to my side." As we previously reported, Dana White wants Hardy to get a couple more fights under his belt before he matches up with a major UFC opponent ... but Hardy says he's already got his sights on Derrick Lewis. "Soon enough, you're gonna see me in front of the Black Beast!"